After being taken at Pick No. 2 in the 2017 AFLW Draft, speedy and energetic midfielder Emily Bates slotted straight into the team and was a prolific ball-winner who impressed with her decision making and leadership. In 2019 you will see Bates don a long-sleeved guernsey at all games to promote a sun-safety message after having skin cancers removed during the Lions’ off-season. Bella Ayre was traded to the Lions from Carlton in the 2017 AFLW trade period. Ayre was a joint winner of the Round 5 Rising Star nomination in 2017. 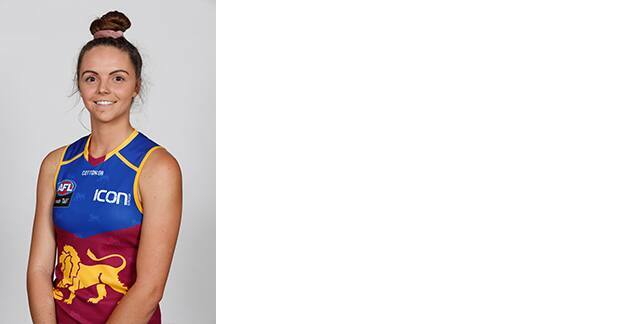 Originally from Magnetic Island, a small community off Townsville, Breanna Koenen moved to play at the University of Queensland while studying physiotherapy. Koenen is an imperative member of the Lions’ strong backline of defence, having played there for the past two seasons. She is renowned for her excellent ball use and rated highly for intercept marks and spoils. Sharni Webb is a versatile player for the Lions, primarily found in the ruck for the past two seasons. Her athletic ability and volleyball background help her stand her ground against other rucks in the competition, despite being 10cm shorter than most. In 2018, Webb excelled at gathering contested possessions and was tireless in her tackling. She was a member of the Lions leadership group last season. 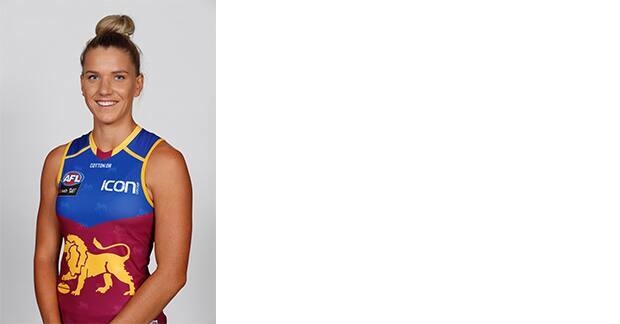 2017 All Australian Sam Virgo makes her long-awaited return on field in 2019 after missing the entire 2018 season. In the dying moments of her 2017 QWAFL Grand Final victory with Yeronga, Virgo tore her ACL. In 2018 was still an important member of the team, working as their Team Manager. Last year Virgo and her partner Jenna welcomed a baby girl called Harriett. She is active in the Queensland football community, coaching junior and senior teams as well as working for Tribal Sport. In 2019 she was named vice-captain, alongside Emma Zielke and Kate Lutkins, with Leah Kaslar voted in as Captain. 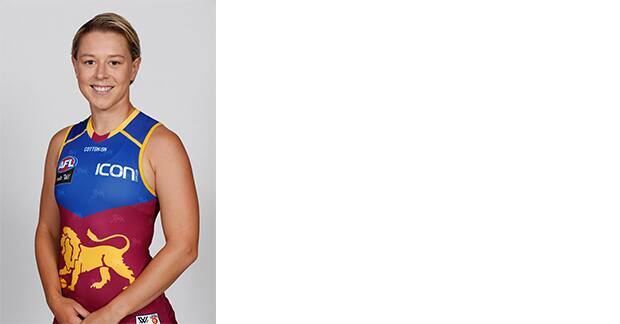 Originally from Gladstone – Tannum Sands BITS, Megan Hunt is a clever and tough around the ball. Jordan Zanchetta was the Lions' first pick, and Pick No. 7 overall, in the 2017 AFLW Draft. Zanchetta is a quick and tenacious midfielder who is a two-time All-Australian at the Youth Girls level and was a joint winner of the QWAFL Best and Fairest in 2015. An ACL tear saw Zanchetta miss the inaugural AFLW season but she had a strong 2018 season playing five games. Emma Zielke was the inaugural Captain of the Lions' AFLW team in 2017 and had the responsibility again in 2018. This season she will act as vice-captain alongside Captain Leah Kaslar and fellow vice-captains Sam Virgo and Kate Lutkins. Zielke grew up playing soccer in Bundaberg in Central Queensland before moving to Brisbane after she finished school. She started playing footy at Morningside and went on to form the inaugural women’s team at Coorparoo. 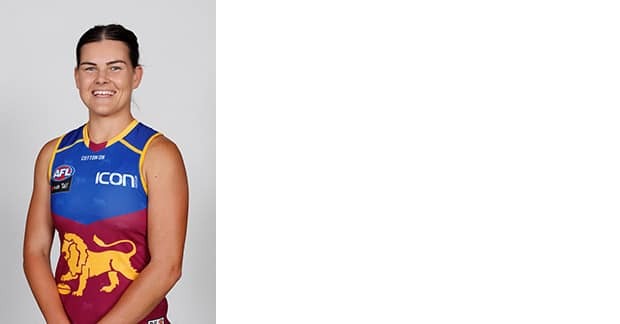 Zielke is one of the most experienced players on the Lions list and played in exhibition matches for the Western Bulldogs before the AFLW was introduced. She is a tough inside midfielder who excels in contested situations and can also move forward and kick goals. Her pressure around stoppages is excellent and she was ranked number one at the Lions for clearances and tackles in 2017. 2019 was her first pre-season uninterrupted by injury. Kate McCarthy is envied in the ALFW competition for her lightning speed down the two ends of the field. In the Lions inaugural season, she kicked the most goals for the team, including her famous five-bounce goal that was a contender for goal of the year. That year she had the second-most metres gained per disposal of the top-100 ball winners in the competition and was named All Australian. In 2018 she played all eight games for the Lions. McCarthy works part-time as a school teacher and also as a media personality, having worked as a boundary commentator for Triple M Brisbane during the 2018 men’s AFL season. Paige Parker was selected with the Lions first-round pick (Pick No. 9 overall) at the 2018 AFLW Draft, after two years in their train-on squad. 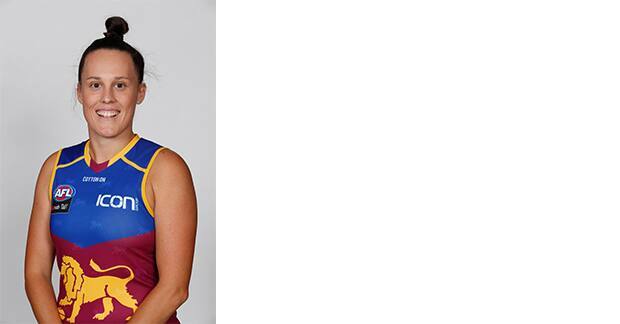 Parker is often found at halfback and starred for Coorparoo in the 2018 QWAFL competition. She was also a standout performer in the inaugural Winter Series competition, while representing the Gold Coast Suns. She was awarded the Suns’ 2018 Winter Series Development Player award at their Club Champion awards night. 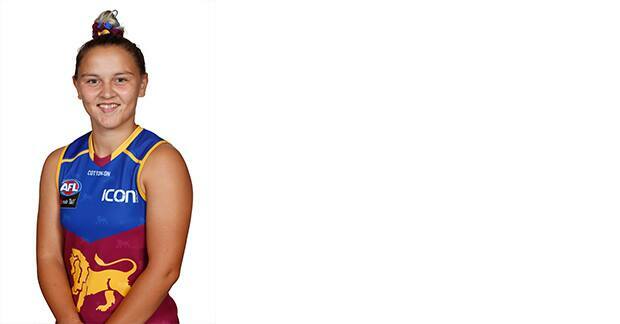 The 23-year-old is known for her athletic ability and endurance and has represented Queensland in touch football. 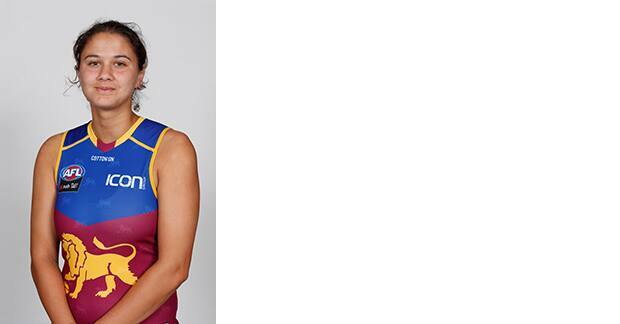 In 2019 Leah Kaslar will lead the Lions AFLW team, after acting as vice-captain for the past two seasons. The 33-year-old is known for being one of the toughest key defenders in the competition and thrives on challenging match-ups. Her nickname is “Xena Warrior Princess,” recognising her fierce competitiveness. Kaslar was an integral part of the inaugural season and was honoured as team's Most Competitive Player. She works full-time as an Environmental Scientist at Synergy Resource Management and enjoys surfing on her weekends. Selected with the Lions’ seventh pick at the 2017 AFLW Draft, Sophie Conway is a medium-sized midfielder or forward with great evasion skills and balance. Conway enjoyed a breakthrough season, debuting in Round 1 against the Adelaide Crows and kicking a goal. She played six games, including the 2018 Grand Final against the Western Bulldogs. After her brilliant Round 3 performance against Carlton, where she kicked two goals, the 19-year-old was nominated for a Rising Star award. AFL runs through the Conway family's blood with Sophie’s brother, Isaac Conway, a former Brisbane Lions Rookie. Unfortunately, Conway will miss the entire 2019 season after rupturing her ACL while playing for Richmond in the VFLW. 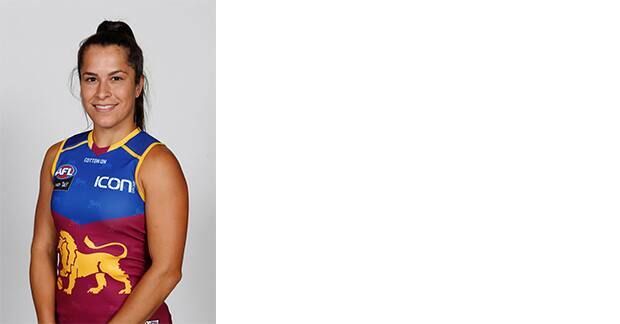 Kate Lutkins celebrated a brilliant 2018 season in the backline for the Brisbane Lions AFLW side. The 30-year-old was the Lions’ best on ground in their Grand Final defeat against the Western Bulldogs. Lutkins was named the Club’s best and fairest at their 2018 awards night. She also took home Members’ MVP and Players’ Player. This was on top of also being named All Australian. In 2019 she will act as a vice-captain alongside Emma Zielke and Sam Virgo, with Leah Kaslar to lead the team. 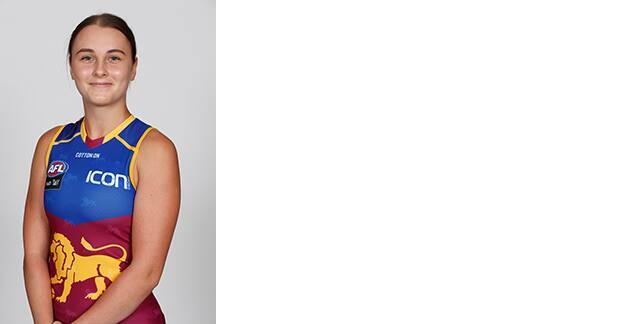 Lutkins proudly works for the Australian Defence Force and has represented Queensland and Australia in futsal. UK born Sabrina Frederick-Traub is regarded as one of the AFLW’s strongest players due to her strong overhead mark ability, her slinky skills and composure in front of goal and her fierce competitiveness. She can play anywhere on the field, but is most often found in the forward line. In the 2018 season Frederick-Traub final round game for the season against GWS proved to be her most remarkable yet. Her four-goal performance that night put the Lions back in contention to reach their second consecutive AFLW Grand Final, which they did. 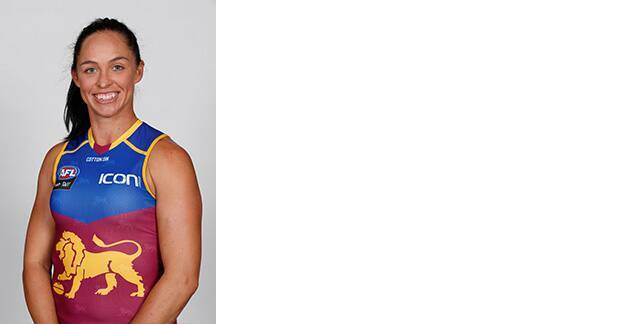 The 22-year-old works for AFL Queensland and is a proud multicultural ambassador. In 2018 she was a member of the seven-woman leadership group. After five games AFLW experience with Carlton, the Lions secured Nat Exon during a trade with the Blues following the 2017 season. The 24-year-old hails from a soccer and heptathlon background but returned to football in 2016 where she made an immediate impact. Exon is a high-pressure player in the midfield, having applied the second-most pressure points per 50 minutes last season. Her elite outside run and kicking ability will be a strength to the Lions' midfield. 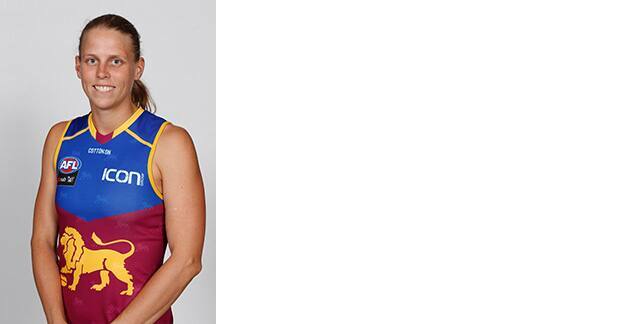 Lauren Arnell, Carlton’s inaugural Captain, will offer the Lions leadership and experience in AFLW Season 3, after being traded to the Club in 2018. The 31-year-old was at the forefront of the inaugural women’s league and helped Carlton place their bid for a women’s team licence. Before the AFLW launched, Arnell won ten premierships with the Darebin Falcons and has been named as an All Australian three times. 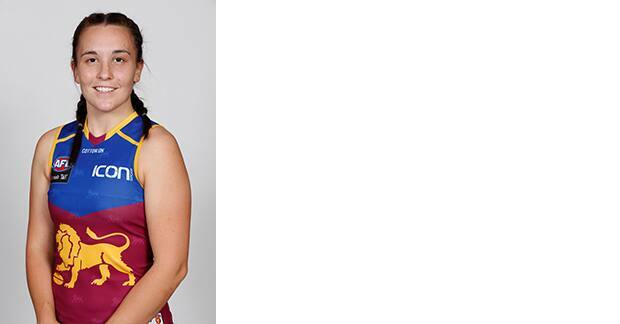 She balances her football career while working as an Education and Training Manager at AFL Victoria and is a member of the AFLPA Women’s Advisory Committee. 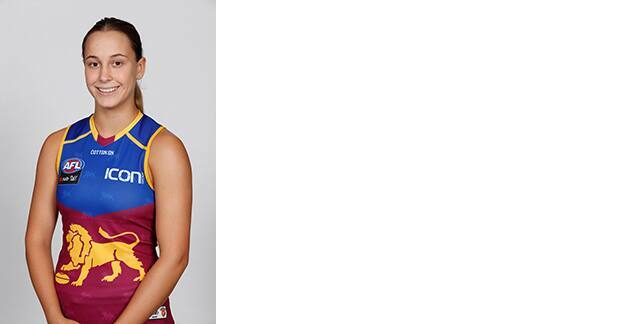 Nat Grider, a Hyundai Help for Kids Lions Academy product, was an Under 18 All Australian in 2018 after captaining Queensland at the Under 18 National Championships. The 18-year-old can play at half-back or in the midfield and is athletic with strong marking skills. She will be aiming to make her AFLW debut in 2019. Ally Anderson made a name for herself in 2018 after a dominant display in the midfield. She is a tough, consistent tackler and has played every game for the Lions since their 2017 debut season. In 2018 she had the second highest disposals in the AFLW competition, with 18.3 disposals recorded each game. Anderson will again be aiming for another consistent year in the Lions midfield. She is currently completing a Bachelor of Paramedic Science. Emma Pittman had one of the more memorable ALFW debuts in 2018, after only finding out 20 minutes before the team’s Round 4 clash against Fremantle that day. She was presented her guersney by Lions men’s player Dayne Zorko and celebrated a win with the team that afternoon. She went on to retain her spot for the rest of the season. 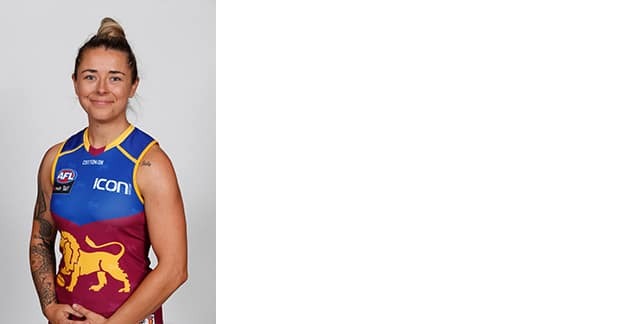 The 26-year-old is a rebounding defender and is known for her toughness and reliability. She came to the Club in 2017 after being their fifth draft pick (37 overall). She previously played as a striker for the Brisbane Roar in the W-League. Shannon Campbell is another member of the Lions’ tough backline, with a very strong right boot. In the 2017 AFLW season, the Sunshine Coast junior soared, with the equal sixth-most intercept marks. Occupation: Customer Service Attendant. Studying (Exercise and Health Science). In 2018, her debut AFLW season, Arianna Clarke became a mainstay for the Lions in their backline with her strong marking ability. The 19-year-old was selected with the Lions second pick (15th overall) at the 2017 AFLW Draft and played all eight games for her team in her debut season. Previously she was selected in the AFLW Under 18 All Australian team and was part of the inaugural NAB AFL Women’s National Academy. Clarke is currently studying at Bond University as an inaugural winner of the Riewoldt Family AFL Excellence Scholarships. Her cousin Darren Glass is a former West Coast Eagles captain and 2006 premiership player. She grew up in the same small WA mining town of Kambalda as new recruit McKenzie Dowrick, where the two played football together. 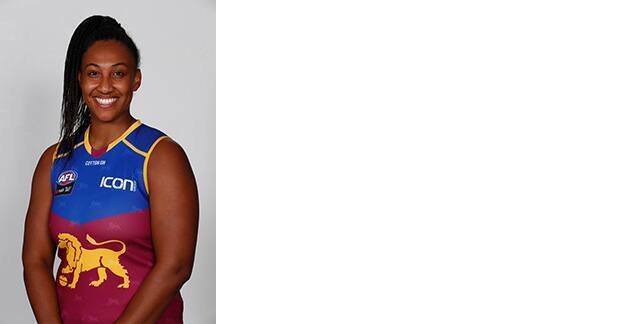 Brisbane Lions AFLW Rookie Brianna McFarlane will miss the entire 2019 season with a shoulder injury. 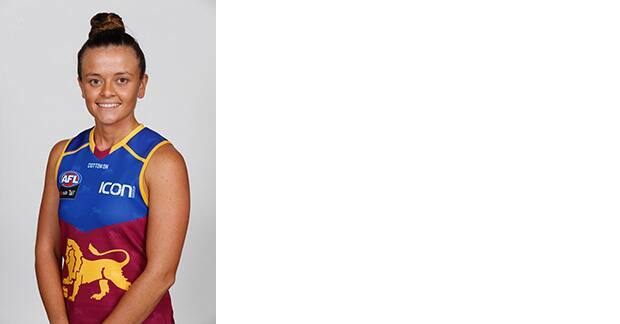 With a strong soccer background, McFarlane was a new signing for the Lions in 2018, after a stunning debut season playing for Coolangatta in the QWAFL. McFarlane’s raw talent and athletic ability will be missed on field in 2019 and the Club looks forward to seeing her return next season. Jessica Wuetschner was another player who made a name for themselves in 2018. The clever left booter became the Lions highest goal kicker, with 18 over two seasons. “Woosh” was the first player from Tasmania to be selected in the 2016 AFLW Draft and has been an integral member of the Lions team who has reached consecutive Grand Finals. Ruby Blair was welcomed into the Lions’ pride with their sixth pick (41st overall) in the 2017 AFLW Draft. The 18-year-old plays either as a small defender or midfielder, who wins contested ball at ground level. She will be looking to make her debut in the 2019 season. A Hyundai Help for Kids Lions Academy product, Yorston is a premiership player for Wilston Grange. She was selected with Pick No. 71, a compensation pick, at the 2018 NAB AFLW draft. The midfielder, known for her contested ball work, pulled on the Lions guernsey for the inaugural Winter Series last year. 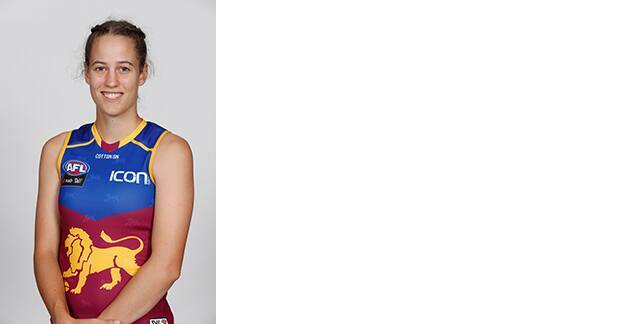 She also represented Queensland at the Under 18 National Championships. Occupation: Community and Diversity Programs. Studying (Bachelor of Criminology and Criminal justice). 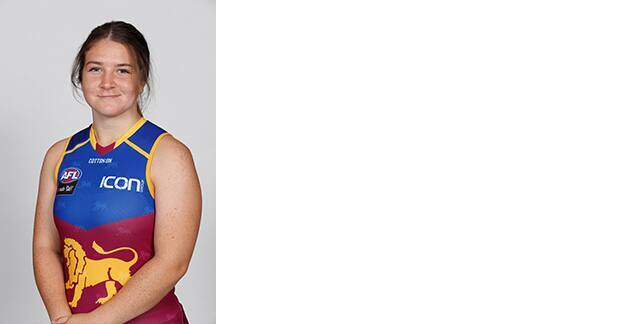 In her first year of senior women’s football in the QWAFL competition, Tori Groves-Little was the 2018 joint winner of the Best and Fairest award, after four best-on-ground performances for Coorparoo. Groves-Little is fast and versatile across the ground, typically playing on the wing or off half back. 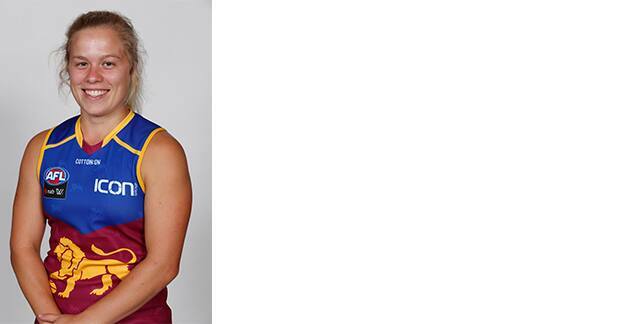 Jessy Keeffe was the Brisbane Lions eighth pick (48th overall) at the 2017 AFLW draft and will be looking to make her debut in 2019. 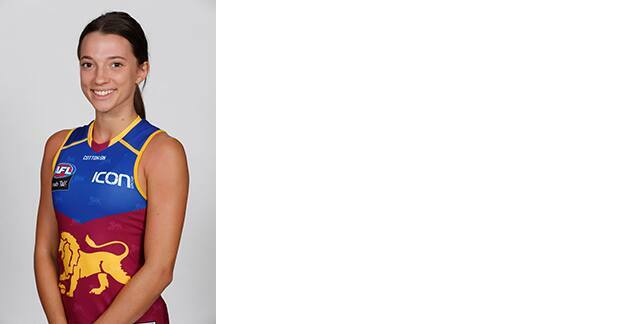 Keeffe is an athletic ruck and Yeronga Devils QWAFL premiership player. Her brother is GWS player Lachlan Keeffe. Gabby Collingwood had a dream debut season for the Lions, elevated from the rookie to the senior list in time for Round 1 against the Adelaide Crows and went on to play four games. The 20-year-old is often found in the midfield and is eager and determined at every contest. She is resilient well beyond her years after overcoming a serious medical condition in her childhood. None other than Brisbane Lions’ great and three-time premiership player Jonathan Brown visited her and her family in the hospital. 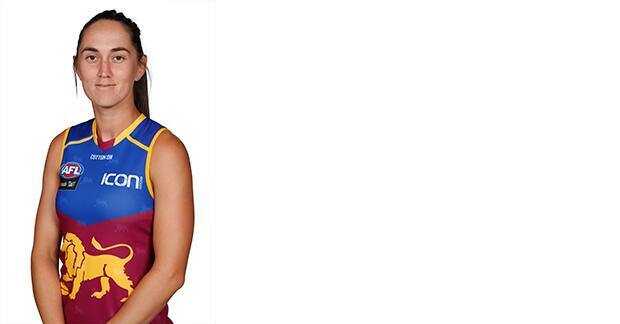 Jade Ellenger is a quick, strong marker who can play in the backline or midfield. 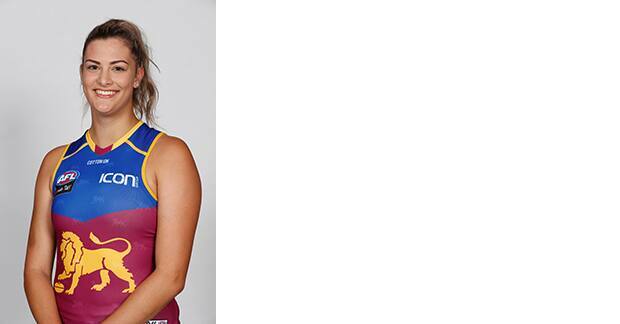 She also played for Queensland in the Under 18 National Championships and played in the 2018 QWAL Grand Final for Coorparoo FC. She was taken with Pick No. 72 (compensation pick) at the 2018 NAB AFLW Draft. At the 2018 NAB AFLW Draft Jesse Wardlaw was selected with the Lions’ Pick No. 61. At 185cm tall, Wardlaw boasts a significant presence in the forward line and ruck, with the ability to take strong marks above her head. She played for Queensland at the Under 18 National Championships and represented the Lions AFLW side in the Winter Series competition. Occupation: Sales Assistant. Studying (Physiotherapy). 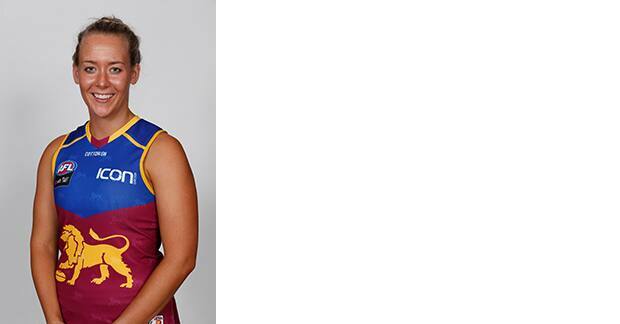 Krystal Scott enters 2019 in her second year as a Brisbane Lions rookie. The former tennis ace will be looking to make her debut for the Lions in AFLW Season 3. Previously Scott was on a scholarship at Norfolk State University in the United States and was once ranked in top 100 Australian tennis players. Scott is regarded as one of the strongest runners at the Club. 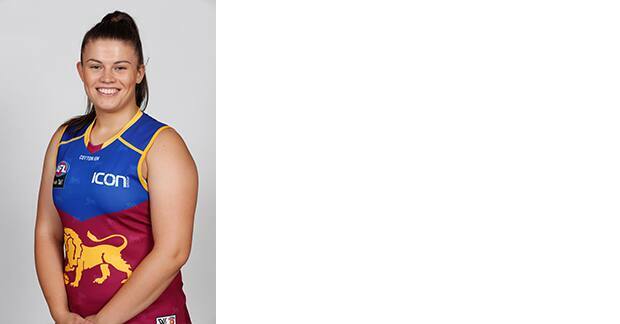 Lauren Bella has been considered the best ruckman in the Under 18 National Championships for the past two seasons. 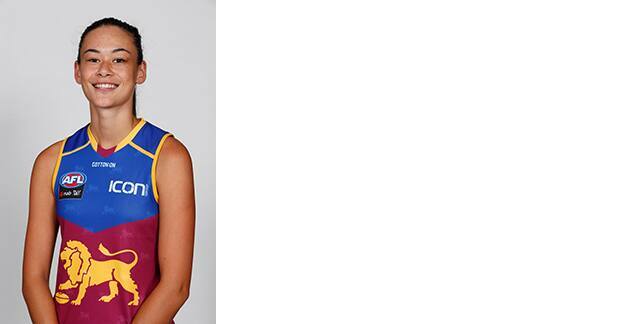 The 18-year-old is from Sarina in North Queensland and has been a member of the AFLW Academy. She has been named an Under 18 All Australian twice, in both 2017 and 2018. Bella will be aiming to make her AFLW debut in 2019. 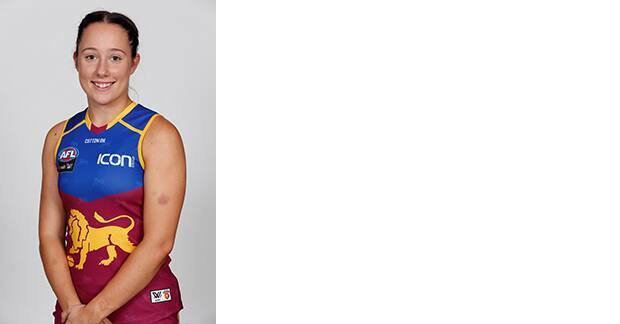 A Western Australian junior, Dowrick was a member of the AFL Women’s Academy and dominated for WA at the Under 18 National Championships last year. The 18-year-old has an accurate left boot, slinky skills and is clever with her ball use. Dowrick was also named Under 18 All Australian in 2018. She grew up in the same small WA mining town of Kambalda with Arianna Clarke, where the two played football together.